The media’s foreign affairs motto often seems to be ignorance is bliss. The Toronto Star, for instance, has devoted significant attention to the Trudeau government’s plan to dispatch 600 soldiers to Africa, but it has largely ignored the most relevant information. While Canada’s most progressive English daily offers its pages to embarrassingly simplistic pro and con positions, the Star has all but ignored the economic, geopolitical and historical context necessary to judge deploying 600 troops to the continent. While the Star published 19 stories last year discussing a potential Canadian peacekeeping mission in Africa, only one mentioned Canada’s main mark on the continent and that story simply noted, “officials also considered the extensive business interests of the Canadian mining industry” when deciding not to deploy troops to the Congo seven years ago. That’s it? Even though Canada is home to half of all internationally listed mining companies operating in Africa. Even though Canada’s government has paid for geological education, joint NGO–mining company projects and extractive sector policy initiatives, as well as opposing debt forgiveness and negotiating Foreign Investment Promotion and Protection Agreements with a dozen African countries — all to support corporate Canada’s $30 billion in mining investment. Even though the two most cited possible destinations to send troops – Mali and Congo – are home to a significant Canadian mining presence. In addition to Canadian mining interests, Star coverage has ignored Canada’s growing military footprint in Africa over the past decade. Working closely with the new United States’ Africa Command (AFRICOM), Ottawa has funded and staffed various military training centres across the continent and Canadian special forces have trained numerous African militaries. The Canadian Forces Operational Support Hub also moved to establish small permanent bases on the east and west coasts of the continent and the Canadian Navy has expanded its presence, particularly off the coast of Somalia. Evaluating Canada’s current military and economic role on the continent is a prerequisite for having a proper debate about deploying troops. So, is a critical look at past UN missions, which has also been absent from the Star. For example, in 1960 the UN launched a peacekeeping force that delivered a major blow to Congolese democratic aspirations by undermining elected Prime Minister Patrice Lumumba. 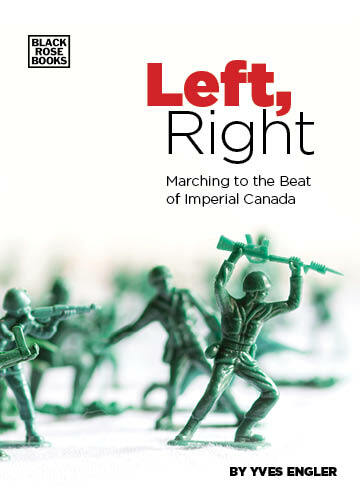 As detailed in Canada, the Congo Crisis, and UN Peacekeeping, 1960-64, Canadian soldiers played a significant role in the mission that enabled Lumumba’s assassination by US and Belgian-backed forces. In 1992, about 900 Canadian military personnel joined a US-led humanitarian intervention into Somalia, which later came under UN command. While the soldiers who used the N-word and tortured a teenager to death received significant attention, the economic and geopolitical considerations driving the deployment did not. In 1993 Project Censored Canada found the prospects for extracting oil – Chevron, Amoco, Phillips, and Conoco had exploration rights to two-thirds of Somalia – the most under-reported Canadian news item that year. Alongside securing hydrocarbons from the ground, planners had an eye to the oil passing near Somalia’s 1,000-mile coastline. Whoever controls this territory is well placed to exert influence over oil shipped from the Persian Gulf. Three years after the Somalia debacle Canada led a short-lived UN force into eastern Zaire. Presented as a way to protect one million Hutu refugees, it was really designed to dissipate French pressure for a UN force to deal with the refugee crisis and ensure Paris didn’t take command of a force that could impede Rwanda’s invasion of what’s now the Democratic Republic of the Congo. Washington proposed Ottawa, with many French speakers at its disposal, lead the UN mission since it didn’t want pro-Joseph-Mobutu-Sese-Seko France to gain control of the UN force. Ultimately, most of the Canadian-led UN force was not deployed since peacekeepers would have slowed down or prevented Rwanda, Uganda and its allies from triumphing, but not before Canadian, British and US officials “managed the magical disappearance” of half a million refugees, to quote Oxfam Emergencies Director Nick Stockton. That 1996 US-backed Rwandan invasion of the Congo and reinvasion in 1998 led to a deadly eight-country war and is the reason UN forces are there today. But, little context — economic interests, past military involvement or critical history in general — has been presented. While it’s published two editorials promoting planned UN mission, Star coverage of the issue demonstratesCanada isn’t ready to deploy troops to Africa. The public is almost entirely ignorant of this country’s role on the continent and our political culture gives politicians immense latitude to pursue self-serving policies there, present them as altruistic and face few questions. Canadians who want a foreign policy that is a force for good in the world (or at least does no harm) must demand better of our media.